CG PET Application Form 2019 has been released via online mode only from 19th March 2019. 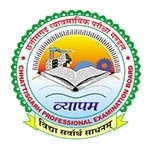 The Chhattisgarh Professional Examination Board organizes the CG PET (Chhattisgarh Pre Engineering Test) exam. It is a state level test conducted for providing admissions into engineering, dairy technology & agriculture courses offered by various institutions of Chattisgarh State. Here students can check CG PET 2019 including the detailed process of How to Fill CG PET Application Form 2019. CG PET 2019 Application Form has been released from 19th March 2019. Check here for application form details. The authority has released the CG PET 2019 Application Form via online mode. It has been released from 19th March 2019. The last date to submit the online application will be 7th April 2019. There was no offline mode entertained to get the application form. Candidates should take printout of the application for further use. Visit the official website of CG PET 2019 (link is given above). Click on the link “Online Application Form PET 2019”. The application form page will be opened on the computer screen. Tick on the option “Are you Citizen of India”. Select the exam you want to apply. Now, fill your personal, contact information, exam center details such as Name, Father’s Name, Mother’s Name, Date of Birth, Roll Number of 10th Class, Gender, Category, CG Domicile, Other Category Details, PH details, Height & Weight of the candidate, etc. Click on the “Download Image Format”. Take a printout of the format. Paste a photograph with a size of 3.5 CM width and 4.5 CM height in the given place. Write your name and put your signature in the box given below the photograph. Put your left thumb impression in the specified box. Scan the Image Format in the JPEG format. The image size should come between 40 KB to 50 KB. Click on the “Browse” button and upload the image format. Students are required to fill other details like Religion, BPL Family status, Two Identification Marks, J&K Migrant Status, “Krishak” Family Status, House No, Street Name, City/Village, Post Office, District, State, Mobile Number, Email, Exam City Preference, etc. Tick on the “I Agree” and accept the declaration. Enter the security code and click on the “Submit” button. A confirm window will appear on the screen. Click “Edit” if any correction is required in filled entries or click “Continue” to submit the form. Candidates can pay the application fee using debit/credit card, net banking or through the SBI bank challan. The application fee will be Rs. 200/- for general, Rs.150/- for OBC and Rs.100 for SC, ST & PwD candidates. Click on the “Pay” option to make fee payment. Enter the payment details and pay the application fee. After the fee payment, candidates may take a printout of the application form and keep it safe for further use. For any other queries regarding How to Fill CG PET Application Form 2019, you may leave your queries below. How many attempts do cgpet gives? I want to know about format of the photo whether color photo with white background or color photo with any background or black-n-white photo is required.As I couldn’t find any notification regarding format of photo (regarding color). you can upload color photo with proper size and dimension. I was filling the cg pet form for 2018. On clicking the payment option the site was interupted and later on trying for the payment procedure the link is not available. Kindly let me know how to get through the payment option. I have my received my user ID as well. When will the counselling start? Where will be the exam centres. Exams will be in c.g only or can be in any other state. mai CGPET ka form fill kr chuka hoo..lekin mai 10th ki roll no. ki jgh glti se 12th kA roll no. form me fill kr diya hoo…sir ab mai apna application form rrecorrect kaise kru….. Wait for the correction period if the authority provide. can i use my union bank debit card for the fee payment? is it neccessary to keep the printout after the final step? or can we keep it’s screenshot only? Yes, you can use union bank debit card (if accepted). Yes, it is compulsory to keep the printout of the application. You can check CG PET 2017 Application Form. Here, we are providing the application link. Click on the “Click here” link for application. sir, today cgpet form has released but can you tell me how to fill. CG PET 2017 Application Form is not released yet whenever it announced we will update in our website. We will also update complete step to fill cg pet application. Is domicile certificate necessary for filling CG PET 2017 form? No official notification is announced regarding CG PET 2017 whenever it announced we will update in our website.